Trappist beers are a special category of beers. 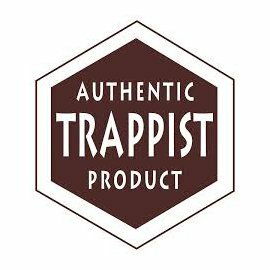 They carry the label of “Authentic Trappist Beer”. This means that the beer is brewed within the walls of a Trappist monastery under the control and responsibility of the community of monks, whose revenue is devoted to social service. Belgian Trappist beers are manufactured on-site or in close proximity to the monastery. The monastic community is engaged in management and all aspects of the means necessary for their operation. This must clearly reflect both the unquestionably subordinate relationship with the beneficiary monastery and the relationship with the culture of the enterprise itself in the plan of monastic life. The income provides for the major portion of the necessities of the community and for social services. The International Trappist Association brings together the monasteries of the Order of Cistercians of the Strict Observance ("Trappists") who commercialize their products. Worldwide there are only 10 Trappist abbeys where Trappist beer is brewed. Six of them are Belgian Trappist breweries: Achel, Chimay, Orval, Rochefort, Westmalle and Westvleteren. In The Netherlands there are two Trappist breweries: La Trappe and Zundert. In Austria there is the Engelszell Abbey and the United States are home to the Spencer Brewery (Saint Joseph’s Abbey). Trappist beer is an authentic beer with a special origin. There are several types of Trappist beer, varying from blonde beers to very dark beers and different levels of alcohol by volume. You will be surprised by the wide range of Trappist beers. As a (Belgian) beer lover you should definitely try its unique taste. And remember: Trappist beers taste even better in an original Trappist glass!